It is easy to use for a cheap price and very durable. I am very happy. This review is about item#9445222. It is used for the part of the lever mounting shaft for making the key (Morski) for transmitting the morse signal. Accuracy was properly worn at the time of installation work. The rotation is also smooth. This review is about item#11698487. I used it to repair my machine. There is no problem in particular. It is cheap and can be purchased. This review is about item#8249297. I think rolling is not like a famous manufacturer. After that I would like to see durability. 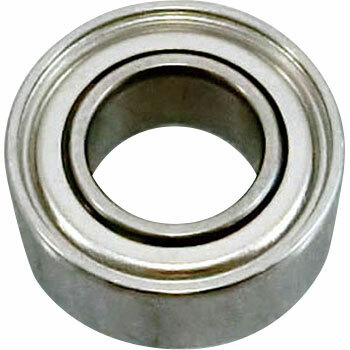 Use the reel bearing collar as a bearing. It turns very well. The winding comfort is also silky. I am self-satisfied. This review is about item#11698417. It is very good to rotate smoothly even with a slight wind by using bearings. I think it has sufficient performance because it is not used for precision high-speed rotation Reasonable prices are especially favorite. We use to improve sliding of slide ruler, but are perfect. This review is about item#9445231. I used it for my skateboard bearing replacement. It does not require accuracy, so it is cheap and helpful. There is no particular improvement, but I'm sorry that I could not find a bearing with an inner diameter of 16 mm. This review is about item#11698426.